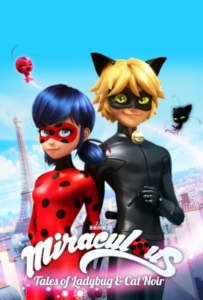 Based on the 2018 Teen Choice Award-Winning Animated television series of the same name, Miraculous transports fans to Paris, France where teenager, Marinette, fills her days with school, friends, and daydreaming about her crush, Adrien. When evil Hawk Moth and his akumas strike, Marinette transforms into the crime-fighting superhero, Ladybug. She and her mysterious partner, Cat Noir, make up the ultimate dynamic duo, set to save the day! With the help of their magical pets, kwamis, they take the stage to harness the power of the Miraculous! Based on story and music created by Jeremy Zag, the production includes the talents of Glenn Casale (Peter Pan on Broadway and International tours of Beauty and the Beast and Little Mermaid) and Harvey Mason Jr. (Sing, Dreamgirls), for this premiere theatrical stage production.